The Ski Saturday group in NYC are starting up a weekly continuously happening ski session every Saturday - the kind of thing that can go on even for one hundred years. Every Saturday people show up to ski, and skiers visiting NYC will always find buddies with gear to lend for a ski session around Central Park and Harlem. 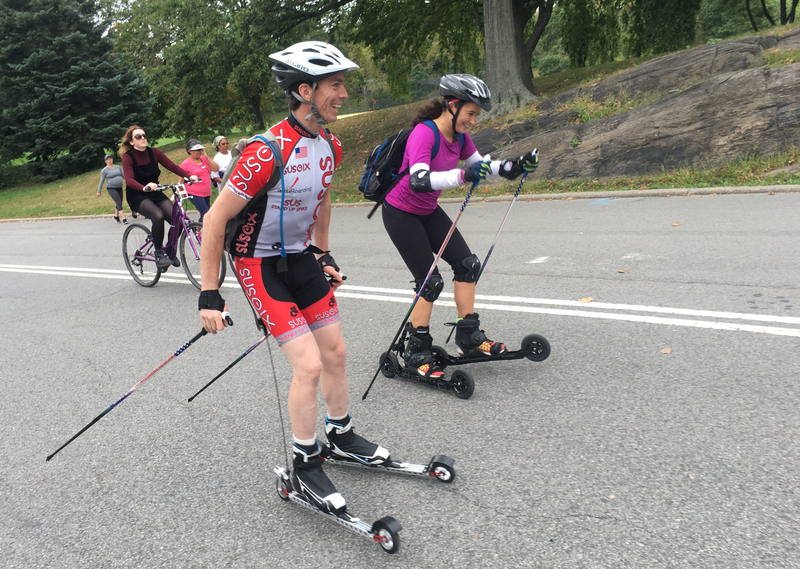 Visiting NYC and want to rollerski? Contact Enrique.